Hereditary hair loss can be effectively treated with REGAINE Solution. REGAINE is scientifically proven to help stop and even reverse hair loss as it contains Minoxidil, the only ingredient available over the counter which has been clinically proven to treat and even reverse the effects of hereditary baldness. 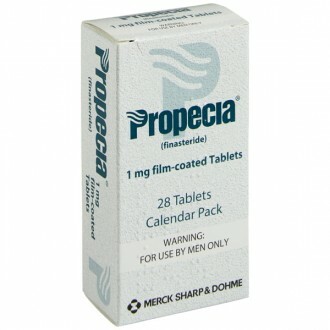 Minoxidil was discovered during clinical trials for a treatment for high blood pressure and hair growth was noted as a side effect. Minoxidil works by increasing the blood supply and thereby the nutrient level to the hair follicles on the scalp, helping to stimulate hair growth. Increased blood flow to the hair follicles increases follicular size and hair shaft diameter, stimulating and prolonging hair growth. Minoxidil has also been shown to help prevent further hair loss in four out of five men, helping to stimulate regrowth for a thicker, fuller head of hair. REGAINE® works best in men with recent hair loss who are showing signs of thinning on the top of the head but it can also be used by men who are developing a receding hairline. Hair loss is very common and as many as eight million men in the UK experience hair loss. Around 40% of men experience some hair loss by the age of thirty-five. Most of the time, hair loss is hereditary and you may have looked at other members of your family and noticed that your hair is following a similar pattern to theirs. The gene can be passed down from either side of the family. Stress can be relevant but stress in itself does not cause male baldness. Hair loss and thinning may first be noticed from the crown of the head and possibly also from the hairline at the front, described as a receding hairline. If you notice that your brush or comb is removing more hair than usual, often first noticed with an increase in hair in the plughole, then these are possible indications of the start of male pattern baldness or androgenetic alopecia as it is termed medically. On average, the adult head has one hundred thousand individual strands of hair and most people will shed between forty and one hundred and twenty of these per day as part of normal every day hair loss and a healthy re-growth cycle. Hair grows in cycles and each growth cycle includes a growth phase, a transitional phase and a resting phase. With hereditary hair loss, the genes and the hormones in your body have a shrinking effect on the hair follicles making them ineffective at growing new hairs. Each hair growth cycle produces a shorter, finer, much less visible hair due to the shrinkage of the scalp follicles, leading to a shortening of the hair’s growing cycle. Over time, a few follicles will be destroyed and fail to grow new hair, the hair becomes thinner and shorter until eventually, there is no growth at all. Wash your hands before and after applying the solution. Apply 1ml of the solution twice daily, once in the morning and once in the evening about thirty minutes before going to bed. Gently massage the solution into the affected areas of scalp. You should leave about twelve hours between each application for maximum benefit. REGAINE solution comes with three different applicators each of which deliver a 1ml dose of the solution via pump spray applicator, extended spray tip or rub-on. The one that is most suitable for you will depend on the size of the area of scalp you need to treat. For large areas of scalp, the pump spray is the most effective dispenser, for small areas, the rub-on is best and for small areas concealed under the hair, the extended spray tip is the best option. When using the pump spray or extended spray tip applicator, aim the pump at the centre of the bald area, press once and spread with fingertips over the entire bald area. Repeat a total of six times in order to supply the 1ml dose. Try to avoid inhaling the mist from the spray. If using the rub-on application, there is a one specifically marked to dispense the 1ml dose. Squeeze the chamber to the black line marking. The bottle can then be turned upside down and the application can be applied knowing that a 1ml dose will be applied. Do not use more than the 1ml dose per application and do not use more than twice a day. Apply the foam twice a day, once in the morning and once in the evening about thirty minutes before going to bed. Both the solution and the foam can also be used on a receding hair line in addition to areas on the crown of your head. It is important to persist twice daily with the treatments as it can take at least two months to see any regrowth with either the solution or the foam. If you see no improvements after using REGAINE® for sixteen weeks, you should stop using it. Headaches, these can affect more than one in ten people. Itching or dermatitis, propylene glycol may cause skin irritation, this can affect more than one in ten people. Excessive hair growth, can affect more than one in ten people. Accidental ingestion of this product may cause serious cardiac adverse events. If Minoxidil passes into the bloodstream, it can cause some side effects related to low blood pressure such as chest pains, rapid heartbeat, a feeling of faintness, dizziness or swollen hands and feet. If you experience any side effects, you should stop using the medicine at once and consult your doctor or pharmacist. 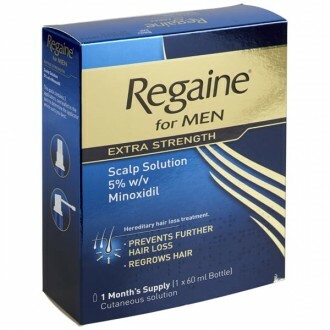 The active ingredient in REGAINE is Minoxidil 50mg. Please read the following warnings carefully to ensure that REGAINE® is safe for you to use and that you use it safely. Please read all packaging and the Product Information Leaflet before taking any new medicine and inform your doctor of medicines you are taking or intend to take. 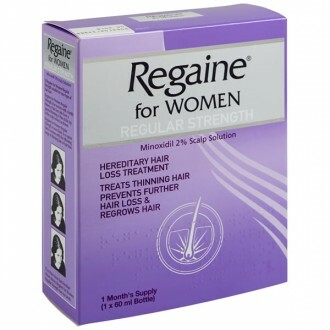 Do not use REGAINE if you are female. Do not use REGAINE if you are under the age of eighteen or over sixty-five years old. Do not use REGAINE if you have previously had a bad reaction to Minoxidil or any of the other ingredients contained in the product. Do not use REGAINE if you are unsure that your hair loss is hereditary or if it is caused by another form of medical treatment. Both REGAINE extra strength foam and solution are flammable. Do not use them near any naked flame or heat source or whilst smoking. Do not apply REGAINE to areas of the body other than the scalp. Do not use REGAINE if you have total baldness or complete loss of all body hair or if the cause of your hair loss is unknown or it is sudden or unexpected. It is possible that psoriasis suffers could find that Minoxidil may pass into the bloodstream via the scalp so do not use REGAINE® if you have any condition affecting your scalp including sunburn or psoriasis, or if you are using creams, ointments or lotions to treat scalp conditions. Do not use REGAINE if you have any kind of dressing or bandage on your scalp. Wash your hands after applying REGAINE to prevent inadvertently transferring it to other parts of the body. Avoid using REGAINE on broken or inflamed skin or if you have a shaved scalp. Avoid getting REGAINE in your eyes or in contact with the moist membranes lining the inside of certain parts of the body, e.g. the mouth, nasal passages (mucous membranes). Rinse thoroughly with cold water if accidental contact occurs. Do not exceed the recommended dose and do not use more than twice a day. More frequent application will not make your hair grow any more quickly. It may also increase the chance of the medicine being absorbed into your body and causing side effects. You may experience some initial hair loss when you start using REGAINE; this is due to old hair falling out as new hairs replace them and this is an expected and positive sign. However if shedding persists for longer than two weeks, discontinue the treatment and consult your doctor. You should not use REGAINE if you suffer from heart disease, including abnormal heart rhythms or rates, angina or chest pains and/or circulation disorders. Stop using REGAINE immediately if you experience chest pains, an increased heart rate, fainting, dizziness, sudden and unexplained weight gain, swollen hands or feet or persistent redness or irritation of the scalp. Consult your doctor promptly. You should not use REGAINE if you are also taking medicines for high blood pressure; it is theoretically possible that use of REGAINE could enhance the effect of medication prescribed for hypertension (blood pressure) and cause dizziness. Even if you are not on medication for hypertension, REGAINE is not a suitable product for you. Certain medicines that are applied to the skin can increase the permeability of the skin. 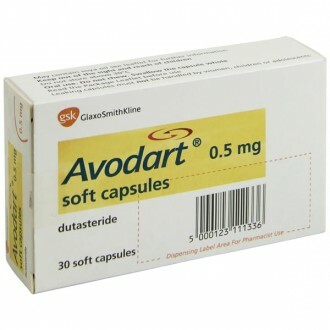 These include corticosteroids such as hydrocortisone, retinoids such as isotretinoin or tretinoin – the latter is commonly used to treat acne or other skins disorder, dithranol which is used to treat psoriasis, urea and Vaseline Petroleum jelly. You should not use REGAINE if you are using any other medicines topically on your scalp because they might cause more Minoxidil to be absorbed through the skin into the bloodstream. This could increase the risk of any side effects. Keep the container and contents away from naked flames during use, storage and disposal and store the container in a cool, well ventilated place ensuring that it is tightly sealed. Will my hair loss be the same as other members of my family? This is not necessarily the case; your hair loss may prove to be less, the same or even more than other family members. Is all hair loss caused by hereditary male pattern baldness? In 95% of cases, male pattern baldness is hereditary but there are some rare occasions where hair loss can be caused by other things such as a medical condition, prescribed medication so chemotherapy treatment for certain cancers, poor nutrition, bad hair care techniques or severe stress. REGAINE is not suitable for other non-hereditary types of alopecia and you should discuss alternative treatments with your GP. How quickly will I start to see results after I have started using REGAINE? The earlier you start using REGAINE the greater your chances of seeing results; REGAINE works best in the early stages of hereditary hair loss. When used twice daily, you can expect results after just sixteen weeks. But REGAINE will not work for everyone and it is not possible to ascertain who will be the successful users other than the general principle that the sooner you start using it the better, so it is less effective for men who have been experiencing hair loss for a number of years or who have a large area of baldness. Exactly how does Minoxidil cause the hair to regrow? Minoxidil increases blood flow thereby promoting hair growth by reversing the miniaturisation of the follicles, increasing blood supply around the follicles, stimulating follicle movement from the resting to active hair growth phase and finally, by extending each follicle's growth phase. It was initially discovered as a medicine in tablet form to treat hypertension (high blood pressure) and it was noticed that those patients being treated with Minoxidil experienced excessive hair growth. Further research led to the development of a solution of Minoxidil which can be applied directly to the scalp. If my hair growth is stimulated and shows improvement, do I need to keep using REGAINE? If you hair growth is stimulated, you will need to keep using REGAINE twice a day for the growth to continue. Regrown hair may disappear three to four months after you stop using REGAINE and the balding process will then continue. Do be aware that in the early stages of use, you may notice a temporary increase in hair loss in the first two to six weeks; this is part of the hair's natural cycle and rather than being something to worry about, it is actually a promising sign. It shows that the hair is transitioning from the rest phase of the cycle to the growing phase. Why is Regaine Extra Strength for Men better than the regular strength product? Regaine Extra Strength for Men provides faster results when compared to the regular strength. You should see results in just eight weeks and approximately three out of five men have visible re-growth when tested in clinical trials. Regaine Extra Strength for Men scalp foam is licensed for use in men age eighteen to forty-nine years of age and Regaine Extra Strength Solution is licensed for use in men aged eighteen to sixty-five. The three months supply multipack contains three boxes of Regaine Extra Strength Liquid Solution. Will Regaine Extra Strength affect my hormones? Regaine Extra Strength for Men does not affect male hormones.